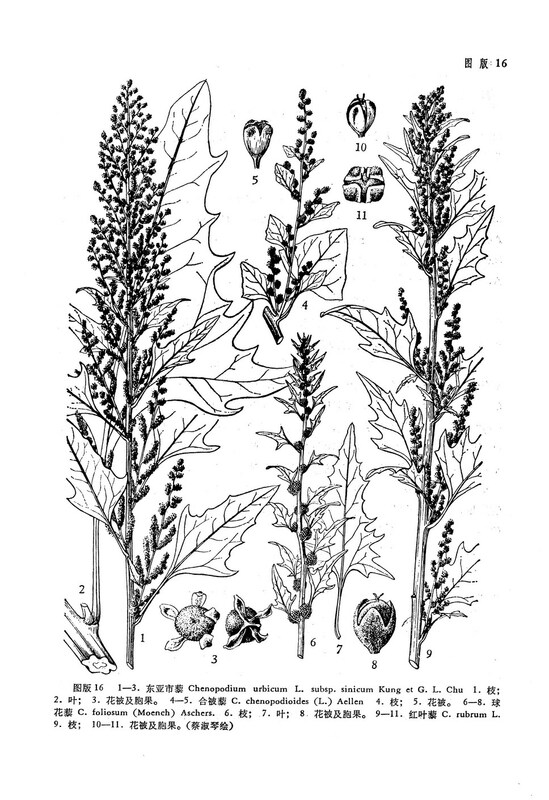 Chenopodium chenopodioides (L. Centr. 2: 19. 1966.——Blitum chenopodioides L. Mant. 2: 170. 1771.——B. polymorphum C. A. Mey. in Ledeb. Fl. Alt. 1: 18. 1829 (p. p.). 球花藜 Chenopodium foliosum (Moench) Asch.